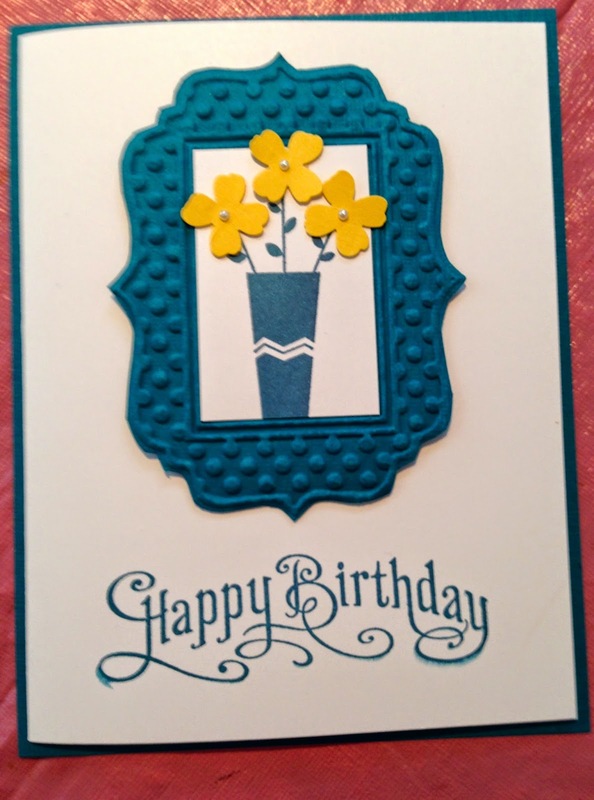 This is one of the cards that fellow stampers made during world card making day on Saturday, October 4th. 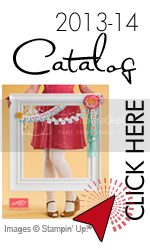 Each year my downlines support raising funds for the Ronald McDonald houses in the Tampa Bay/St Petersburg area of Florida. My downline, Debi Pippin gets the group together for this event. It is open to the public and each person pays $2.00 for two cards. They stamp and assemble both then can move to an open seat at another table to repeat the process. One of the two cards are donated to the Ronald McDonald House for their clients and staff use. The monies collected from the cards and raffle pay for the envelopes and stamps. Again this year was another huge success.